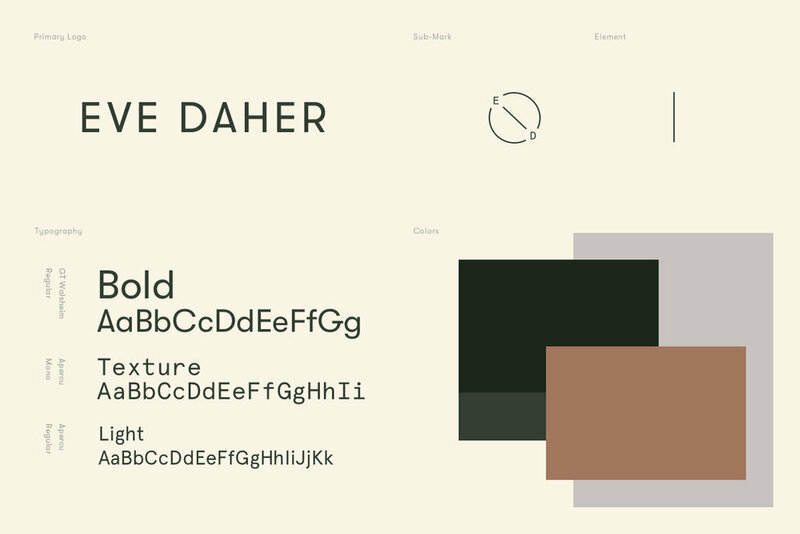 Brand Strategy, Branding & Website for Eve Daher, an art director for contemporary brands with a warm, elevated aesthetic. Eve works in the fields of fashion, beauty, wellness, lifestyle and family, specializing in fashion storytelling and photography. We developed: Brand Strategy, Logo, Monogram, Brand Identity, Image Curation, Squarespace Website, Copywriting. 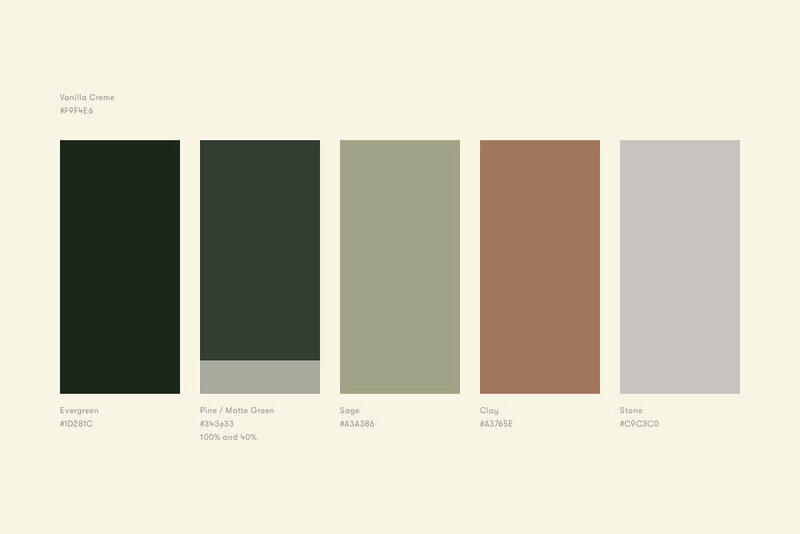 An art director for contemporary brands with a warm, elevated aesthetic. Eve works in the fields of fashion, beauty, wellness, lifestyle and family, specializing in fashion storytelling and photography. 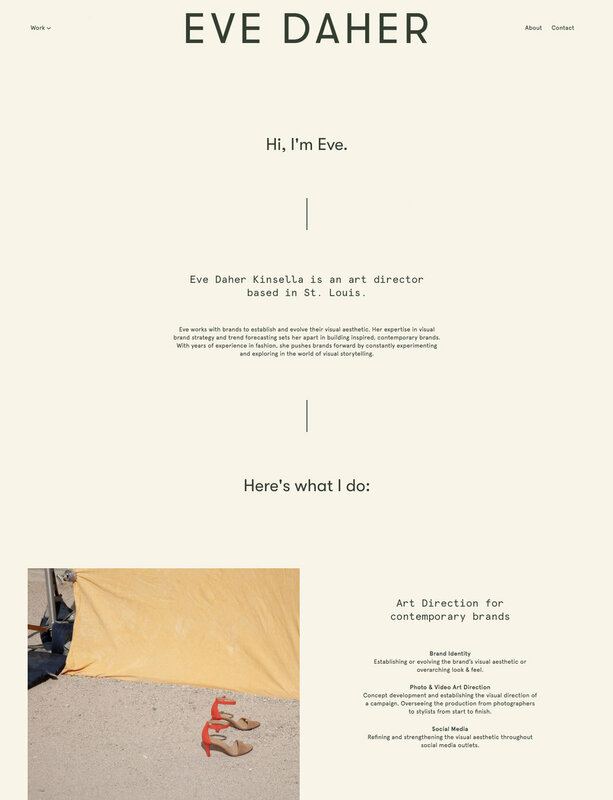 We re-designed the brand identity to reflect both Eve’s playful personality and the high calibre work she produces. 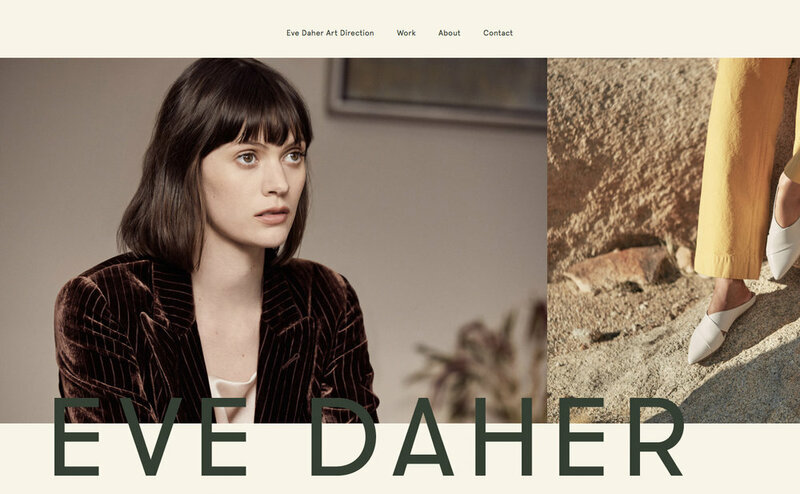 We developed brand strategy and copywriting to build the brand foundation, curated images to best represent Eve’s distinct style, and created a website with earthy, rich colors that expands on the warm, elevated fashion & lifestyle photography.